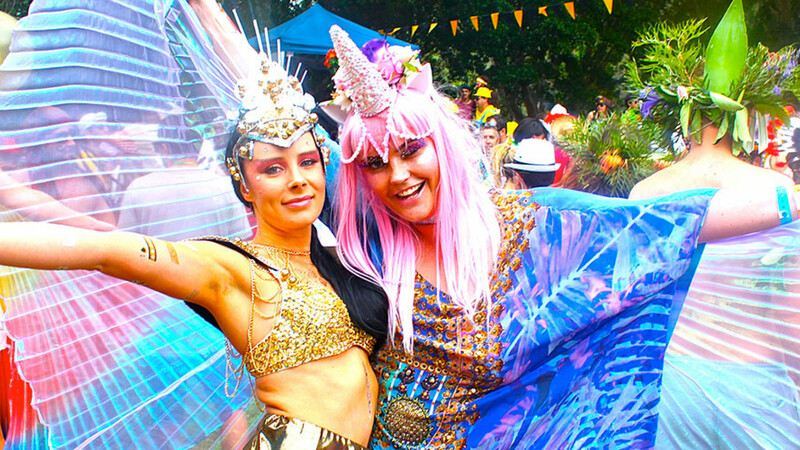 What started out as an epic pool party is now tipped as "the most fun weekend in Australia". 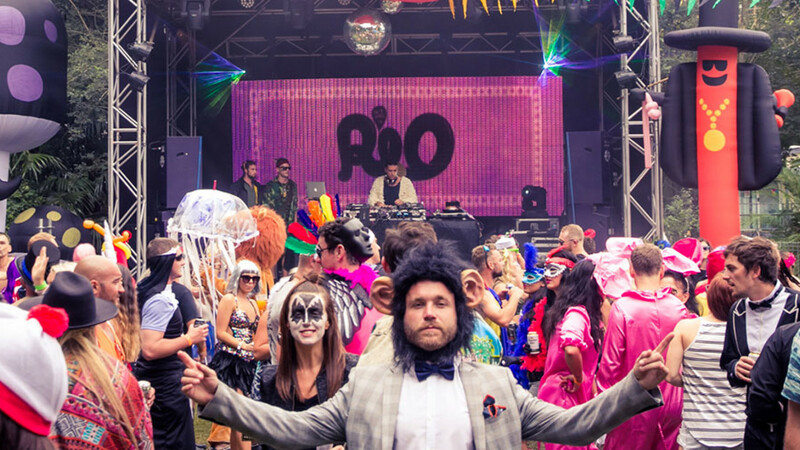 Return to Rio makes a strong claim indeed, but when there's water skiing, crazy golf, fancy dress fun, tropical cocktails, a giant jumping cushion, world-class disco and house DJs and kangaroos hopping around, we're beginning to believe it. 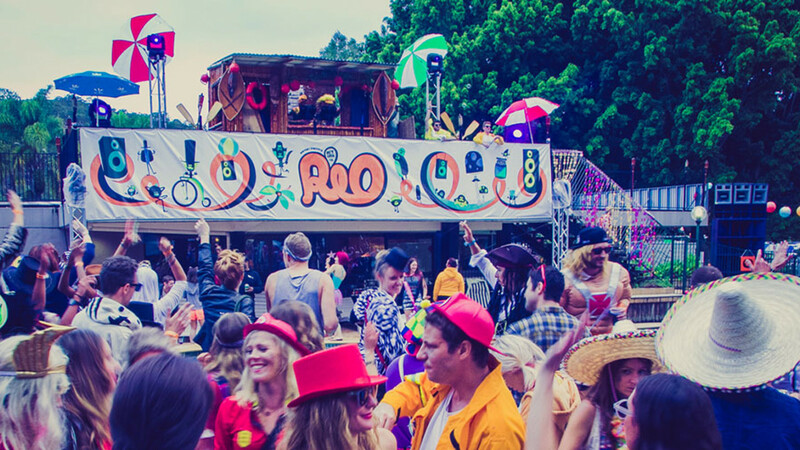 Return to Rio goes down at the magical Del Rio Riverside Resort, a hidden country stomping ground 90 minutes outside of Sydney on the banks of the Hawkesbury River. The festival has thought of everything when it comes to delivering a day-to-night timetable of activities. Recharge with some yoga, meditation and aerobics during the day, or make use of the Del Rio resort's swimming pool, nine-hole golf course and tennis courts. Then as the sun sets, do as much as you possibly can to reverse the effects of your recharge; drink, stuff yourself with delicious food and party to the sounds of the most respected DJs playing house, soul, disco and hip-hop flavoured dance music. Basically it's like a weekend at Butlins but without the overwhelming smell of despair. Bring a doona (that's a duvet in Australianish. Duh). Plus warm and wet weather gear, because the weather is a little temperamental, but we're experts at that aren't we?! You can drive right into Del Rio via the Webb's Creek vehicle/car ferry. Enter 'Chaseling Road, Webbs Creek, Wisemans Ferry' into your satnav. Once you get to Old Northern road, take a left onto River road and follow the signs to Del Rio (don't go all the way into Wisemans Ferry). Once you've crossed the river on the car ferry, turn on to Chaseling Road and follow the signs to Return to Rio. Return to Rio's nearest train station is Windsor station, at the end of the Richmond train line from Central, Town Hall or Wynyard Station. You can then arrange a taxi from Windsor station to the festival.